Forest and Vienna Station by Robert Walton — was designed by award-winning Jill Bauman, widely regarded as today’s leading science fiction illustrator. “The Galaxy Project celebrates the legacy of the iconic magazine Galaxy with the re-issue of some of its greatest selections in e-book form. Susan Forest and Robert Walton carry forth the tradition of outstanding science fiction writing with their Galaxy Project award winners and it is a pleasure to bring greater attention to their talent,” said Arthur Klebanoff, CEO, RosettaBooks. Susan Forest’s Lucy is, as Galaxy Project contest judge Robert Silverberg writes, a novelette “in the grand tradition that would have delighted Galaxy’s great editor Horace Gold.” Humanity has dispersed throughout the cosmos in post-apocalyptic space flight. On Faela, the colony has terraformed the planet unsuccessfully, and an indigenous biological virus has decimated the settler population, threatening its further existence. How a scientist faces this seemingly ordained doom, and what this struggle implies for the continued, wider perpetuation of humanity, are at the center of this brilliantly logical story. Founded in 1950 by H.L. Gold, Galaxy was an immediate artistic success and published the notable science fiction writers of its time. Recognized for the acidly satiric, sometimes profoundly comic aspect of its best contributions, Galaxy had a lasting effect not only on science fiction but also on literature overall. RosettaBooks’ Galaxy Project writing contest attracted more than 100 entries. Judges included Robert Silverberg, winner of the Nebula, Hugo and Locus Awards; David Drake, author of the Hammer’s Slammer series that originated in Galaxy magazine; and Barry N. Malzberg, two-time winner of the Locus Award for nonfiction books of critical history and commentary on science fiction. Malzberg, editor of The Galaxy Project series, discusses the collection in SF Signal. 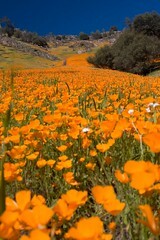 For more information about The Galaxy Project, please visit http://www.thegalaxyproject.com. Singles Murdered and Accused by Paul Alexander, and Frank Delaney’s Undead. RosettaBooks recently introduced The Galaxy Project collection, an e-book set of 23 top novellas that appeared originally in the classic science fiction magazine Galaxy, written by authors including Robert Heinlein, Kurt Vonnegut, Ray Bradbury, and C.M. Kornbluth; Crimescape™, a collection of compelling short nonfiction crime ebooks; and Destination™, an e-book travel guide series with Northstar Travel Media. Offering e-book editions in the range of popular formats through today’s leading e-tailers, RosettaBooks publishes the contemporary, such as Stephen Covey’s The 7 Habits of Highly Effective People, and sought-after classics including Brave New World, Slaughterhouse-Five, A Passage to India, Shoeless Joe, Winston Churchill’s The Gathering Storm, and many others. For more information, please visit http://www.rosettabooks.com. Susan Forest is a writer of science fiction, fantasy and horror. Her YA book The Dragon Prince won the Children’s Circle Book Choice Award and she was a 2009 finalist for Canada’s Prix Aurora Award in the short fiction category. Her work has appeared in “Tesseracts Fourteen,” “Asimov’s Science Fiction,” “Analog Science Fiction and Fact,” and “Legacy.” She lives in Calgary, Canada. 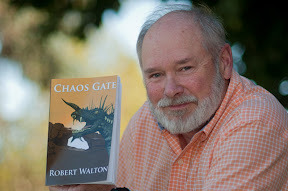 Robert Walton’s Dogwood Dream won the New Millennium Writing 2011 short fiction contest, his Joaquin’s Gold won the 2010 Art Affair Western Short Story Contest, and his YA novel Chaos Gate is available as a paperback and e-book. A great fan of Galaxy in the 1950s, Walton is a life-long rock climber and mountaineer whose writing about climbing has been published in the Sierra Club’s “Ascent” and “Loose Scree.” He lives in King City, California.